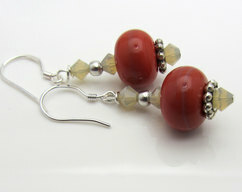 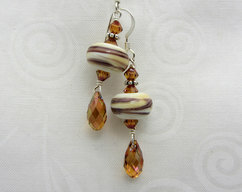 These earrings were made using artisan lampwork beads. 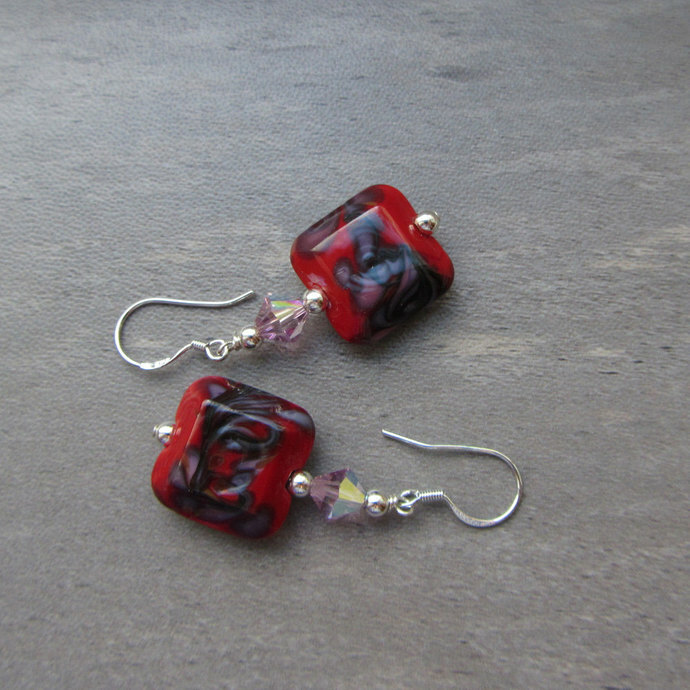 They have a red base with swirls of purple. 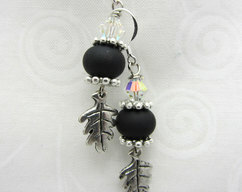 They are accented with swarovski crystals and silver findings. 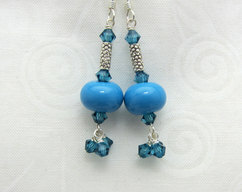 Total length from top of the sterling silver earwire and to the bottom of bead is approximately 1 3/4 inches. 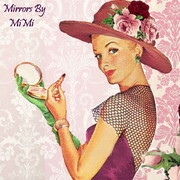 So pretty!